DETERMINED local cyclists will soon be saddling up to ride 100 miles to raise much-needed charity funds. Jane Mansfield, 38, from Woking and Jan Barton-Wolfe, 53, from Mayford are gearing up for the RideLondon cycling challenge on Sunday 29 July, a 100-mile route through London and into the Surrey countryside. 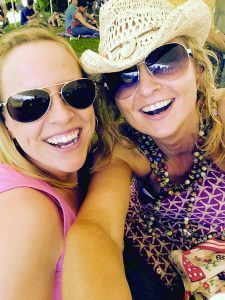 Jane is raising funds for Bowel Cancer UK and Beating Bowel Cancer: “My friend Lisa has been battling bowel cancer for over two and a half years with numerous operations, radiotherapy, chemotherapy, gene therapy and it still goes on. She is an amazing, brave woman that fights every day and despite having obstacle after obstacle thrown at her, she still carries on with this positive attitude that amazes everyone she knows.